Pecans: A Gift to Southern Cooks Do you say Puh-kahn or Pee-can? 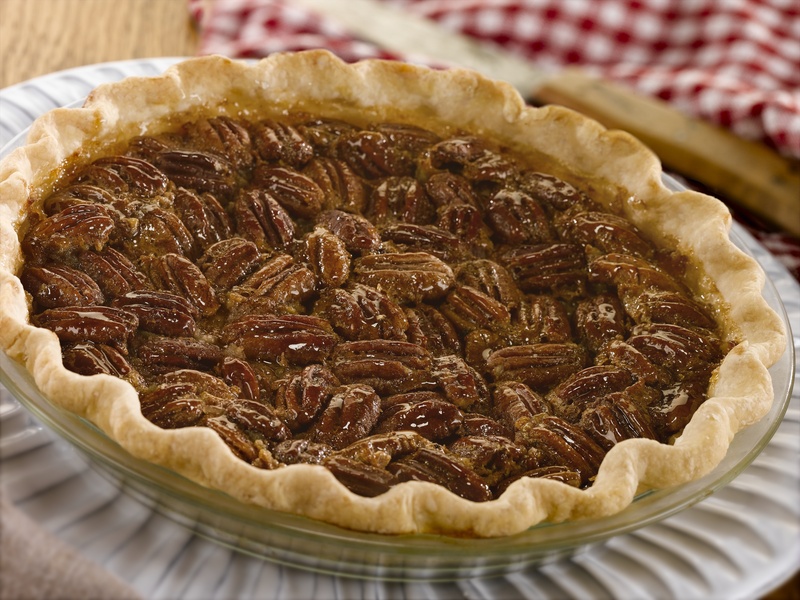 For generations, the pecan groves that sweep across the South have provided cooks with a wonderful ingredient to use in their holiday baking. If you are lucky enough to have a tree (or a generous friend with one), all you need is a nutcracker to reveal the treasure within. Of course, pecan pie is one of the most beloved holiday dessert recipes. Some bakers enjoy the whole creative process of making a pie from scratch. Others like to take a few shortcuts to get an equally delicious finished product. For purists, a homemade pecan pie is a testament to the way simple ingredients come together to create a classic. 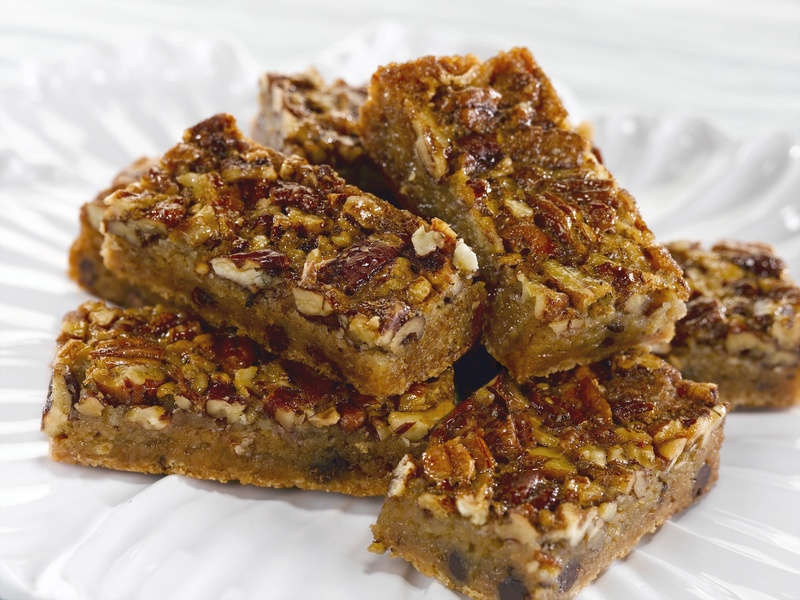 The filling is easy to stir up, but depends on good pecans to give it distinction. I personally think it’s the slightly salty flaky homemade crust that perfectly complements the sweet filling and makes the whole pie delicious. Whether you love to bake from scratch or prefer to take shortcuts, the recipients of your efforts will always appreciate the time and care you took to bake something special for them. Posted on November 22, 2013 November 24, 2013 Author lindacarmanblogCategories UncategorizedTags Chocolate Chip Pecan Pie Bars, from scratch, holiday dessert, homemade, Martha White all-purpose flour, Martha White Chocolate Chip Muffin Mix, Martha White Chocolate Chip Pecan Pie Bars, Martha white pecan pie, pecan pie, pecan pie bars, pecans, pie, quick and easy, southern baking, traditionsLeave a comment on Pecans: A Gift to Southern Cooks Do you say Puh-kahn or Pee-can?